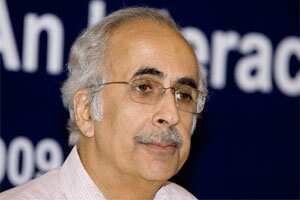 New Delhi: The Competition Commission of India (CCI) requires reliable and recent data to take a considered view on antitrust issues, said Ashok Chawla, the watchdog’s new chairman, adding that the commission faces challenges in interacting with sector regulators and manpower. “Getting reliable and recent data is a key challenge. So what is needed is generation of credible data, which meets the requirements of both CCI as also the parties against which it has started action," he said. For instance, in the case of DLF Ltd, where CCI has imposed a penalty of Rs630 crore, the property developer has contested CCI’s reliance on the data used to establish the firm as a dominant one in Gurgaon, Haryana. A DLF executive had then said that CCI neither used data by real estate consultancy Jones Lang LaSalle nor Genesis Analytics, which analyses economic data, as given by DLF. CCI’s director general (DG) relied on data from the Centre for Monitoring Indian Economy, an economic think tank. In June, two members of CCI took a differing view, based on economic analyses, on an alleged attempt by the National Stock Exchange (NSE) to abuse its dominant position in the currency derivatives market as claimed by rival MCX Stock Exchange Ltd (MCX-SX) . Both the NSE and DLF cases are pending with the Competition Appellate Tribunal. “Matters that CCI has dealt with in the past has not been rigorous in economic analysis," said Ram Tamara, director of economic consultancy Nathan Associates. “If there is shortage of reliable data, a discovery process has to be used, but if the DG has only six months to give its reports, where is the time to discover what is best, especially when there is manpower crunch too?" Interface with sector regulators, which Chawla points out as another big challenge, has already seen CCI landing in court. In January, when Mukesh Ambani-owned Reliance Industries Ltd (RIL) filed a complaint with CCI, alleging that state-owned oil marketers—Indian Oil Corp. Ltd, Bharat Petroleum Corp. Ltd and Hindustan Petroleum Corp. Ltd—had formed a cartel to supply aviation turbine fuel to Air India, after RIL lost a tender to do so, the oil retailers approached the Delhi high court. Their contention was that the case fell under the remit of the Petroleum and Natural Gas Regulatory Board. Similar issues have cropped up in banking and pharmaceuticals. “Although the ministry (corporate affairs) has to take a call on this, my view is that smaller acquisitions, which have no competition issues involved, should be decided by the RBI (Reserve Bank of India) but larger M&As will need prior approval of the CCI before execution of the deals," said Chawla. RBI does not have the wherewithal to take up competition issues and it is the legitimate domain of CCI, said Rahul Singh, assistant professor, National Law School, Bangalore, who is on a sabbatical and advising law firms. CCI should, however, focus on human resources issues so that it can look into many more aspects of competition, which will also help it develop a strategic focus, according to Singh. “We currently have only around 65 officials working on competition law. A study conducted by IIM-B (Indian Institute of Management, Bangalore) before CCI became functional had suggested hiring around 240 people," Chawla said.